Are you looking for climate-controlled storage units for rent in Amarillo? 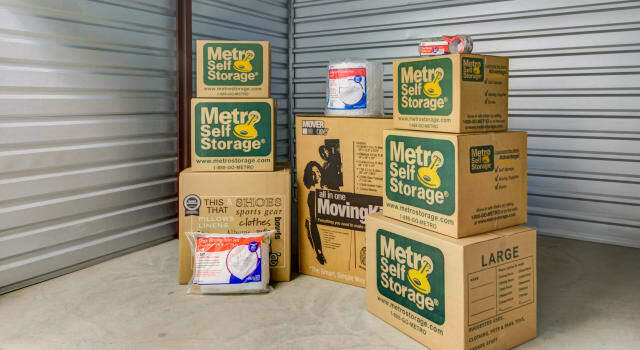 At Metro Self Storage, you will find a wide selection of storage unit sizes to create the ideal storage solution for your temperature-sensitive belongings. Whether you need a short-term storage solution to stage your home before putting it on the market, or you need long-term business storage for files, documents, and office furniture, we are at your service. WHAT SHOULD I STORE IN A CLIMATE CONTROLLED UNIT? Our climate-controlled storage units come in a wide variety of sizes ranging from small units all the way up to large business storage units that do double duty as commercial spaces for our Amarillo business storage customers. Climate-controlled storage units offer protection from the Texas heat, humidity, and even the occasional blizzard. Contact our Property Manager today to discuss the items you plan to store and learn more about the benefits of climate-controlled storage at Metro Self Storage.